RTG (Real Time Gaming) is one of the most popular online casino software brands. RTG is known for its lightning fast games, random jackpot slots series and instant redeem casino coupon codes. Videopoker fans are especially fond of RTG casinos as they offer the most varieties of videopoker, extremely fast with the ability to play up to 500 hands at a time. RTG's Real Series slots offer random jackpots which can be won by any player on any spin regardless of bet size or denomination. 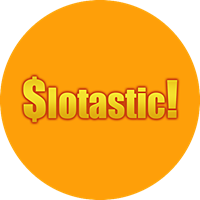 Imagine the thrill of seeing your bankroll suddenly increase by a few thousand dollars on a single spin. 1998 Real Time Gaming was founded in Atlanta, Georgia with the purpose of creating the best fastest and most realistic gaming software on the market. They strive for the total package, both an incredible game and a user friendly back-end system. Their people strive to achieve the perfect mesh of realism and playability in every game they create. By working hard on a total system, Real Time Gaming has become a leader in the casino software field. For those of you who like to multi-task you will love Real Time Gaming software. They are the only games around that allow you to play 2 games simultaneously! You can open up a slots game in a smaller window on top of your regular game play. RTG takes the look and feel of the games very seriously. They even employ physics algorithms to simulate the motion of real dice in their craps games. You can enjoy the fastest blackjack game on the net at 7 hands a minute. Poker is a favorite on the net and RTG offers dozens of varieties of Video Poker to choose from. 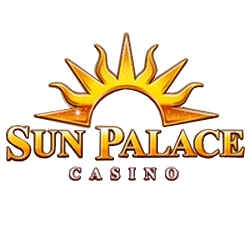 Punters also enjoy their Super Progressives, which link multiple casinos together to create some of the fastest growing progressives on the internet. RTG offers a massive amount of games. 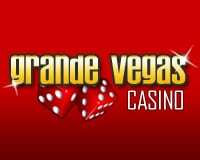 They offer 16 table games to choose from, everything from American Roulette to Pontoon. You can choose between 5 mini slots games to play while playing your regular game in the main browser window. They have 7 types of multi-player poker from Chinese Poker to something called Guts. Their progressives aren't just slots games they offer Caribbean Stud Poker in progressives as well. Their most amusingly named game would probably be “Mid-Life Crisis”, a slots game. Real Time Gaming provides complete data mining capabilities with their backend solution. All of their data is provided in real-time so operators can monitor operations and react to events as they happen. Operators can receive comprehensive live statistics such as affiliate stats, player activity, credit scoring, and key performance indicators. This allows the operator to make quick decisions with accurate information. Their backend system also allows the operator to manage their marketing operation. Operators can generate coupons, track multi-tier affiliates, monitor ad campaigns and player groups, and create comp programs. Operators can maximize their marketing dollars by measuring the effectiveness of marketing activities in order to build campaigns that work. Their management suit also includes security measures to help control the risk of fraud. They address both internal and external risk factors by credit scoring, allowing operators to customize security settings, and tailoring the access levels for each member of their organization so that employees can only access the information and controls they need. RTG give operators complete access to game configuration, deposit and withdrawal processing, customized auto-response e-mails, full-integration to payout services and credit card processors. Real Time Gaming has partnered with Hostarica to provide hosting and customer service for their operators. They offer full training on site or in their facilities.